Inkatha Freedom Party (IFP) leader Mangosuthu Buthelezi says he will always remember his wife for being loving and supportive since they met. 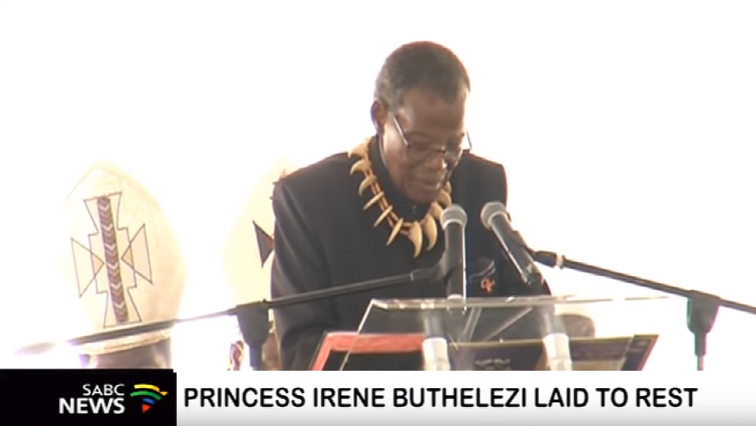 Buthelezi paid tribute to his wife Princess Irene during her funeral service at the Ulundi Stadium in northern KwaZulu-Natal. Buthelezi and Princess Irene were married for close to 67 years. He has described Princess Irene as his best friend who played an important role in raising their children. The post Mangosuthu Buthelezi pays moving tribute to his wife appeared first on SABC News – Breaking news, special reports, world, business, sport coverage of all South African current events. Africa's news leader..